Today’s retailers have many tools at their disposal. 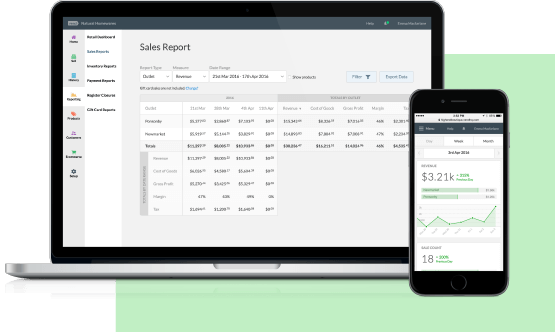 There’s software or hardware (or a combination of the two) for pretty much every part of a retail business, from point of sale and inventory management to CRM and reporting. Plus, thanks to technology, our tools are becoming more advanced and more connected. One tool at the core of many retail businesses is the EPOS system (or the POS system in the US) More than just a till that you use at checkout, EPOS systems are also tools that are becoming smarter and affecting more areas of your retail business. Read on to learn more about EPOS systems and why they’re so important to retail success. A retail EPOS system, or Electronic Point-of-Sale system, is an electronic cash till that retailers can use to accept payments from customers. Customers can pay cash at the EPOS, and the online POS software will record those transactions. Depending on the EPOS software that you use in your retail business, this may also track additional information, such as inventory management or accounting data, as well as sync with other retail systems, like a customer loyalty programme. More and more stores are incorporating online POS systems into their businesses. According to data from Statista, there were more than 2.1 million retail EPOS systems in the UK in 2016, up from just under 1.2 million five years earlier. Statista data also indicates that the highest rate of growth of EPOS shipments from 2015 to 2016 was in Western Europe, compared to any other geographic region. What is an EFTPOS system? An EFTPOS retail system stands for Electronic Funds Transfer at Point-of-Sale. This means that EFTPOS retail systems are electronic POS systems that accept electronic payment methods. Those payment methods include credit/debit cards and mobile payments, for instance. The main difference between an EFTPOS and EPOS system is the payment method: EPOS refers to physical cash payments, while EFTPOS refers to electronic payments. For the purpose of this content, we’ll use EPOS as an umbrella term for both EPOS and EFTPOS systems. An electronic point-of-sale terminal, or EPOS terminal, is the hardware retailers use to process transactions. The hardware is the tangible electronic device(s) that the EPOS and EFTPOS software works on. There are many EPOS touch screen terminals and till systems that work with hardware you may already have, such as computers, smartphones, tablets, iPhones and iPads. A retailer’s EPOS terminal allows for improved efficiency and accuracy in tracking sales, orders and purchases. It also eliminates the time needed to maintain manual solutions and lessens the risk of human error. Market Inspector has found the investment required to purchase new retail EPOS system hardware to be around £300. Retailers also have the option to rent an EPOS terminal, which is estimated to start at £25 per month (and it will request VAT). 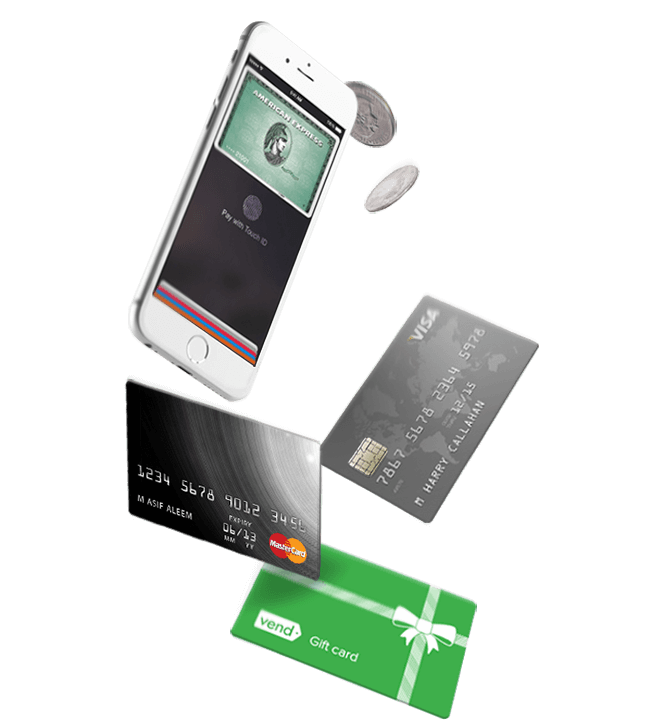 The software and hardware work together to create a virtual or electronic cash till. 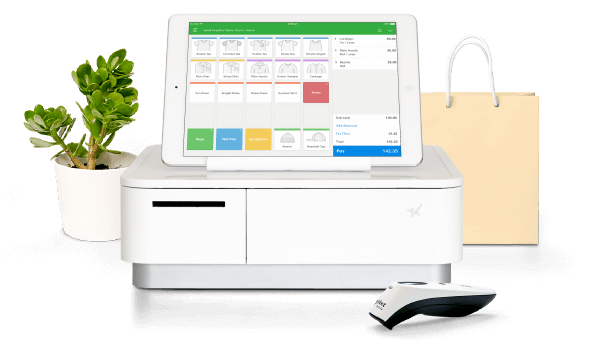 This online cash register acts as a retail and ecommerce system for many businesses, syncing data from all sales channels and integrating it into a single, centralised database. 1. 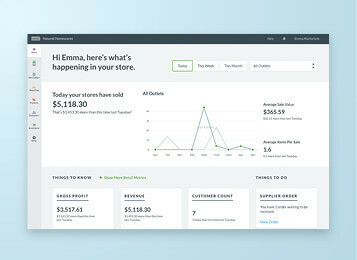 Traditional: A traditional EPOS till system stores data on local servers. The data is only accessible on the premises. 2. 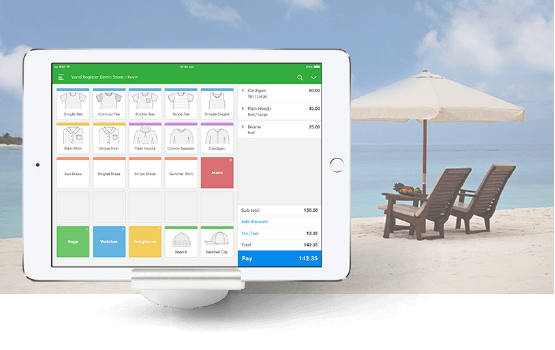 Cloud-based: A cloud-based EPOS till system keeps the data online in the cloud, which means it’s accessible from multiple devices (such as an iPad) at multiple locations — as long as there’s an internet connection. These types of EPOS till systems are becoming more popular. Deanna Yang, Chief Cookie Officer, Moustache. How can EPOS help stock control? EPOS systems are connecting with more business operations than ever before, including inventory management, accounting and CRM, for example. They’re no longer useful solely for administering transactions — they’re becoming an integral part of understanding your overall business. EPOS systems with stock control can help you ensure accuracy by keeping your data in one place, reducing the risk of human error transferring information between systems. When your EPOS and inventory management processes are synced, you can check stock levels across all your sales channels and warehouses in a single database. You can complete full or partial stock takes, perform multiple counts simultaneously, and possibly even schedule them in advance with EPOS systems with stock control. While the accuracy of EPOS data helps stock control, real-time, up-to-the-minute data also contributes. This allows retailers to act quickly and make impactful, educated business decisions. As more retailers are selling on multiple channels, it’s important that inventory and sales data is updated. You can check product levels at various locations and transfer stock without having to think about it, as an EPOS system with stock control will automatically update the data. Otherwise, you place all of the communication responsibilities on your team, who are already working hard, and you run the risk of costly out-of-stocks or overstocks. Some EPOS systems also allow you to set alerts, so you can stay on top of what’s in stock, out of stock, running low or running in excess. This means you can act quickly on restocking an item that’s flying off the shelves. EPOS systems with stock control provide lots of data, but what is a retailer to do with it all? Today’s top EPOS software will provide reports that have real, actionable insights into your stock levels and customer demand for specific types of products. These reports could inform purchase decisions by providing historical and current stock levels, and you can compare the reports over time to identify trends. Automations are a major efficiency driver for any business, and especially so when it comes to EPOS systems with stock control. EPOS software may have features that allow you to set automatic reorders for specific products when stock levels are running low. This not only saves time from having to reorder manually, but it also prevents those costly stockout issues. When it comes to marketing and inventory management as a whole, some EPOS solutions will automatically start and end promotions for you. This could be based on factors like dates or purchase amounts, which means you have to spend less time manually overseeing the promotions. As we’ve already noted, EPOS software saves time and increases productivity. When it comes to business operations, data from various sources is centralised and connected — which means data entry only needs to happen once and your employees can focus on more impactful tasks at work. EPOS automations span across inventory management and other business ops to help you be more efficient: purchase orders, post-purchase customer communications and order processing, to name a few. Any time you can automate a repetitive task, you’re helping your team be more productive. From the customer-facing perspective, checkout is also an easier and more efficient process. Mobile EPOS, faster EPOS credit card processing, and reduced manual input allow the technology to complete the transaction more quickly. When your EPOS solutions are advanced and connected your data is more accurate, which informs better business decisions. These benefits aren't limited to just inventory management, for instance, understanding customer preferences can help you adjust your product offerings accordingly. Plus, a cloud-based EPOS system means teams from multiple locations can access the data — and everyone’s data is the same. Keeping your internal teams on the same page is crucial to multichannel success. And you can refer to historical data from your EPOS to help you understand how your business and customers have changed over time. When it comes to the initial expense of installing a point of sale, traditional cash registers can cost more than £2,800 — whilst you can get started with a mobile EPOS system from as little as £49 per month. And with e-receipts, you could save on printing expenses (while also doing the environment a solid). Beyond that, EPOS software can help to lower expenses across multiple areas of your retail business. For one, accurate forecasting drives smarter purchasing, which means you’ll reduce losses from inventory you can’t sell. You can see which products are most profitable and double down on those opportunities. 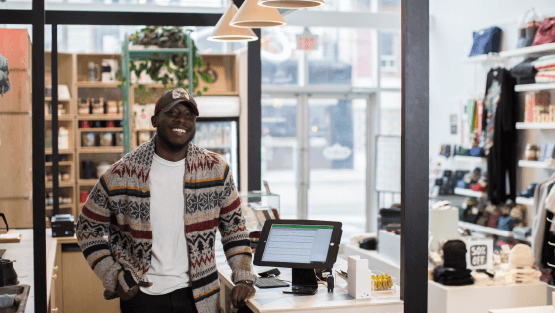 Plus, by improving the customer experience with your EPOS system (more on that later), you’ll indirectly drive customer acquisition and retention. You can even look into the data related to sales staff — if you notice an employee is closing lots of sales, schedule them for peak foot traffic times, for example. Because retailers have access to real-time, accurate data with an EPOS system, it’s easier to be nimble in your business. Reports and insights can help you take a proactive, rather than reactive, approach. Refine sales and pricing strategies and consider promotion opportunities to help your business grow by better understanding profit margins and customer behaviour as it’s happening. And because manual data entry and record-keeping is no longer needed when you have a connected retail EPOS system, adding new products, warehouses or even store locations is simpler. In a sense, your EPOS software grows with your retail business. EPOS credit card processing is one customer-friendly feature. But EPOS systems improve the customer experience in a number of other ways, which is not only advantageous for businesses but also for shoppers. How can EPOS systems improve the customer experience? Improving the customer experience is crucial to your business as it directly impacts sales. The Customer Experience of Town Centres report found that in a sample of UK consumers, experience-driven shopping environments led to a 50% increase in purchases. And there are many ways that EPOS systems improve the customer experience across various touchpoints. Because an EPOS system gives you better insight into stock levels, your informed purchase decisions will help you better meet customer demand. When an item is out of stock, this hurts the customer experience. Those would-be customers may then opt for a competitor — and you could risk losing all of their business. An EPOS system can help you avoid out-of-stocks. Plus, a cloud-based EPOS that syncs across channels in real-time can help you provide a high level of customer service. The 2016 IBM Consumer Expectations Study found that in the US, consumers want to know exactly how many are left in stock, not just that stock is running low. Your EPOS software can send alerts so staff can stay on top of stock levels in their store location. If your employees know when a product is running low, they can be proactive and locate where that product is available so you can still capture the sale and provide a positive customer experience. EPOS systems improve the customer experience by making personalisation more accessible for retailers. And this is something UK consumers want: The Grassfish Market Report 2017 found that 57% of shoppers expect in-store technologies to create increasingly personalised experiences. So, what are those personalised experiences? Nearly half want prices to change depending on their loyalty, and 39% want special offers based on their purchase history. EPOS systems track customer data and purchases, and can sync with your customer loyalty programme so you can offer these individualised experiences. Payment options: Many EPOS retail systems accept more than just cash payments. That’s crucial to providing a good customer experience, especially considering that the average Brit carries no more than £22 in cash, according to Paym. It’s common to accept credit and debit cards with your EPOS software, and retailers that don’t risk a potential £23,000 in missed annual sales. There are also retail EPOS systems that accommodate newer payment options, such as mobile pay, Apple Pay and others. The more payment options you provide customers, the more convenient it is for them to spend money with you. Email receipts: E-receipts provided through your EPOS system reduce the hassle of needing to keep track of a paper receipt, and it also improves the returns process — especially if you can link the receipts to a customer account. In the UK, 45% of consumers want an e-receipt for their in-store purchases, according to research by Bronto. Plus, retailers can use this information to market to those customers in the future. British consumers also want information about upcoming sales, related product promotions and loyalty programmes in their e-receipts." Mobility: Traditional cash tills and registers are quickly becoming a thing of the past. Because many EPOS systems work with mobile devices, such as smartphones and tablets, the cash register has become more mobile. Instead of finding the register, sales associates can help customers check out wherever they are in the store — adding another layer of convenience that improves the in-store customer experience. EPOS systems are so much more than just tills or cash registers. In the retail realm, they have evolved into retail management systems that can streamline multiple components of your business. From the sales side, EPOS systems can speed up your checkout process and make tasks like account reconciliations much easier. From a inventory management standpoint, your EPOS solution can take the pain out of inventory counts, demand forecasting, and product reporting. And thanks to add-ons and integrations, you can extend the capabilities of your EPOS solution by connecting it to your accounting software, staff management app, or even your ecommerce platform. The bottom line? Across the globe, retailers are benefitting from the features of EPOS systems. By creating efficiencies across sales, operations, marketing and more, they’re an integral part of understanding your customers and your biz. That’s why it’s incredibly important that you select the best one for your retail business. Need an EPOS system to help you keep up with the industry and your customers? Watch the Vend product demo or try the features for yourself. Hey, you could even do both! 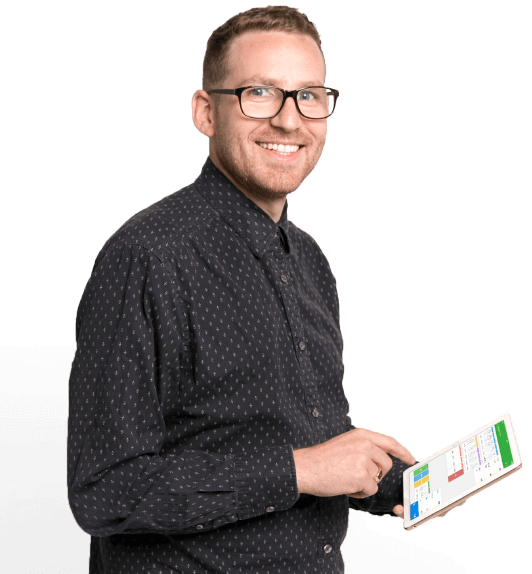 Book a quick no-obligation chat with one of our retail EPOS experts. 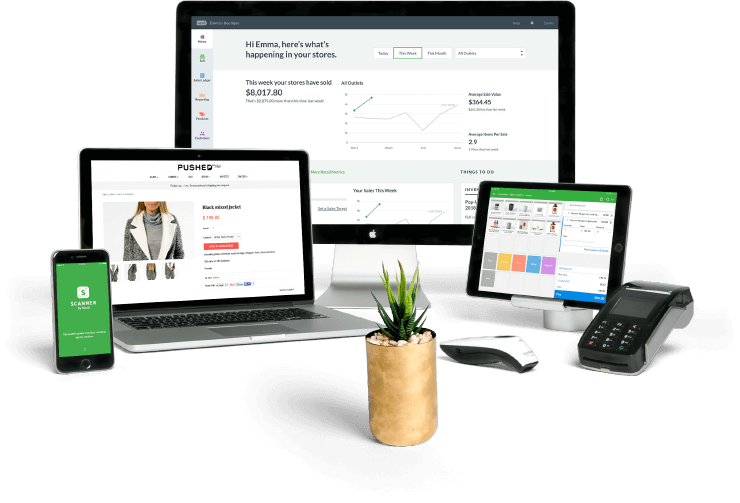 We can walk you through how Vend would fit your business needs and provide a step-by-step guide to getting started.